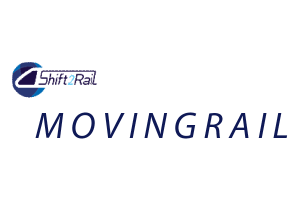 The MOVINGRAIL project aims at identifying operational procedures and testing methods for Moving Block signalling, as well as assessing communication technologies and impacts of Virtual Coupling on different segments of the railway market. Identify Operational procedures for Moving Block and Virtual Coupling signalling, which ensure safe train separation, especially in particularly critical areas such as stations and junctions. Validate the Moving Block Operational and Engineering Rules and identify operational differences from traditional signalling to provide recommendations for easier implementation of Moving Block. Define improved strategies and methods for testing of Moving Block signalling systems, including trade-offs between laboratory and on-site testing. Assessing requirement compliance of radio-based communication structures proposed in Shift2Rail IP1 and IP2 and define improved architectures that more effectively satisfy user requirements in terms of costs and performance. Investigate Automated Vehicle communication technologies and identify analogies for potential applicability to the railways for fast-tracking Virtual Coupling development. Identify market potentials for Virtual Coupling and assess impacts on different railway market segments in terms of costs, performance and operator needs. 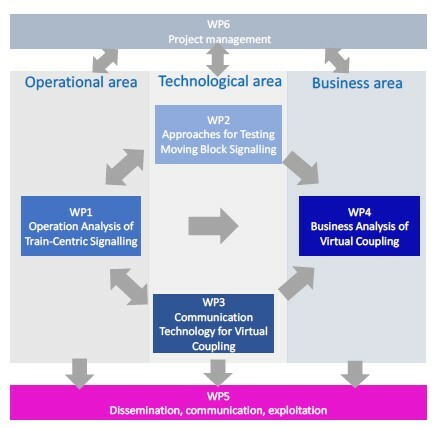 Provide a roadmap for the introduction of Virtual Coupling considering potential business risks and possible migration issues.